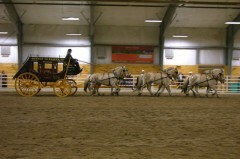 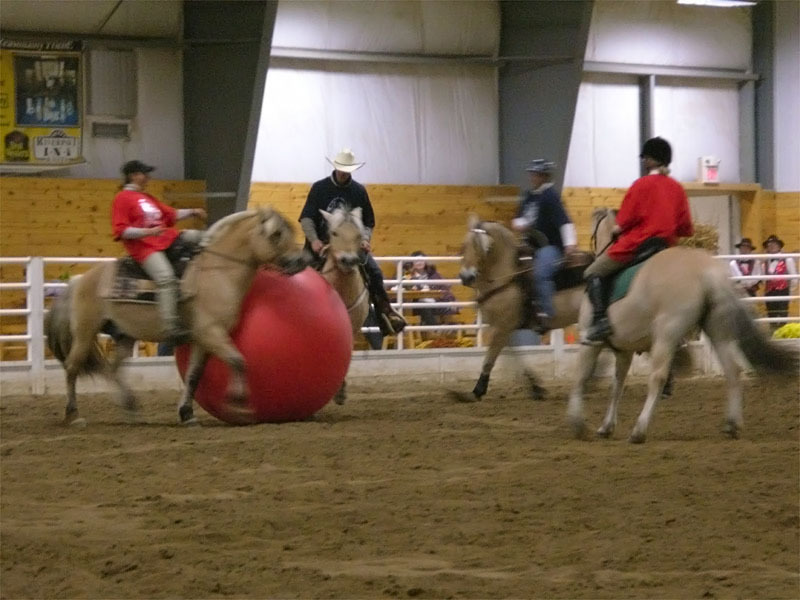 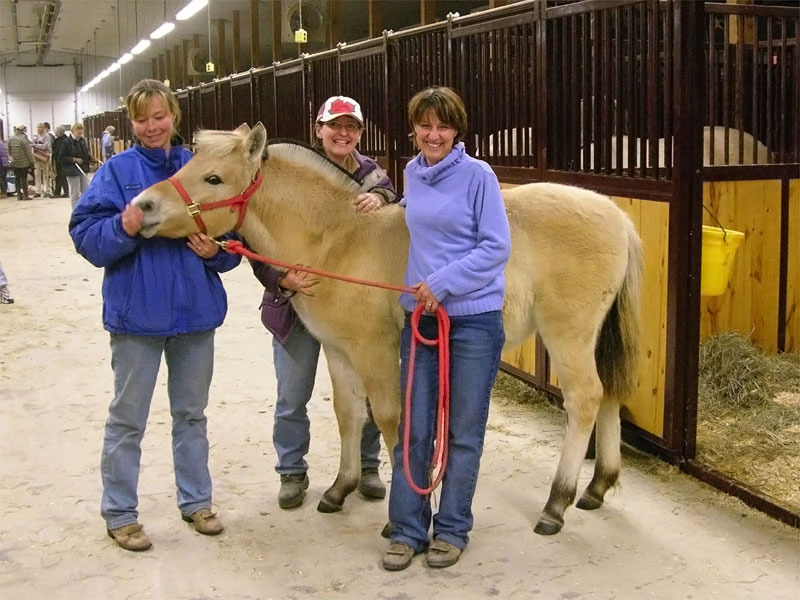 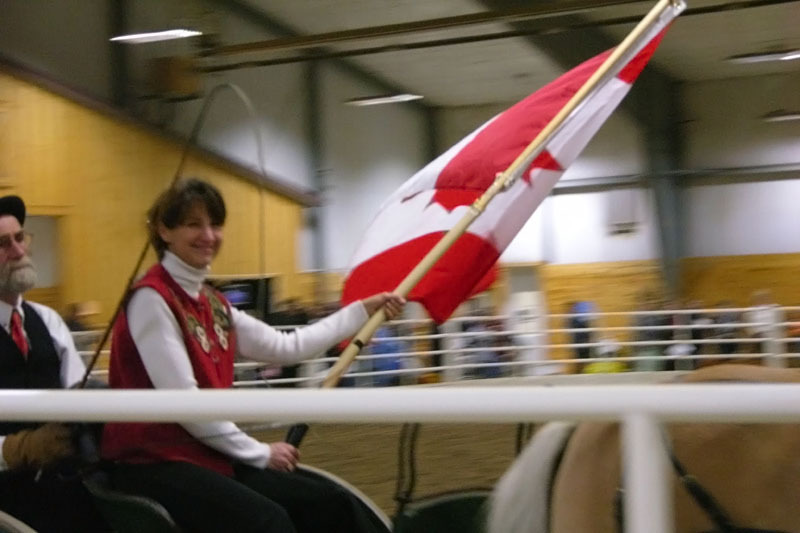 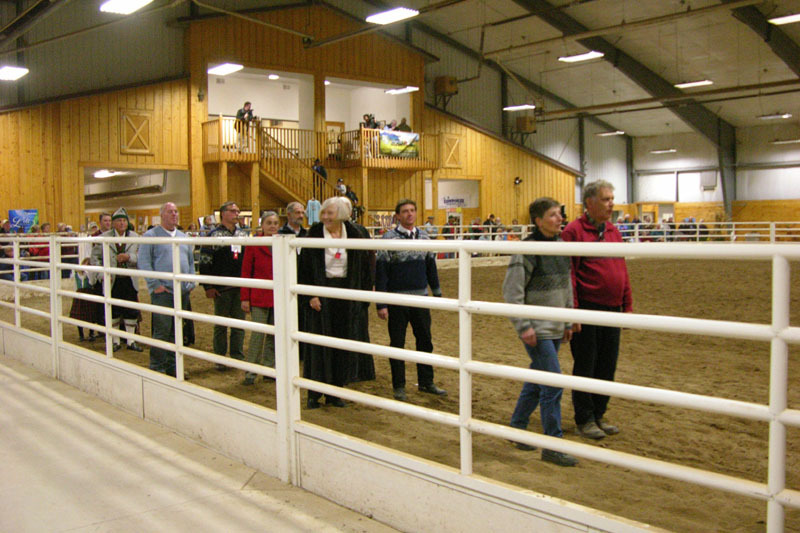 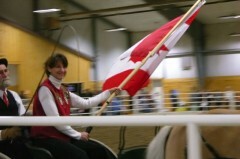 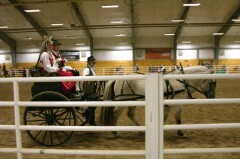 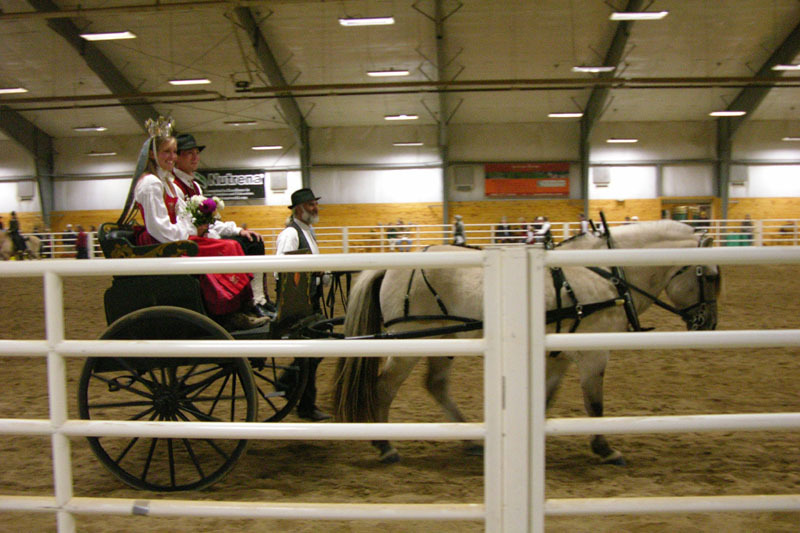 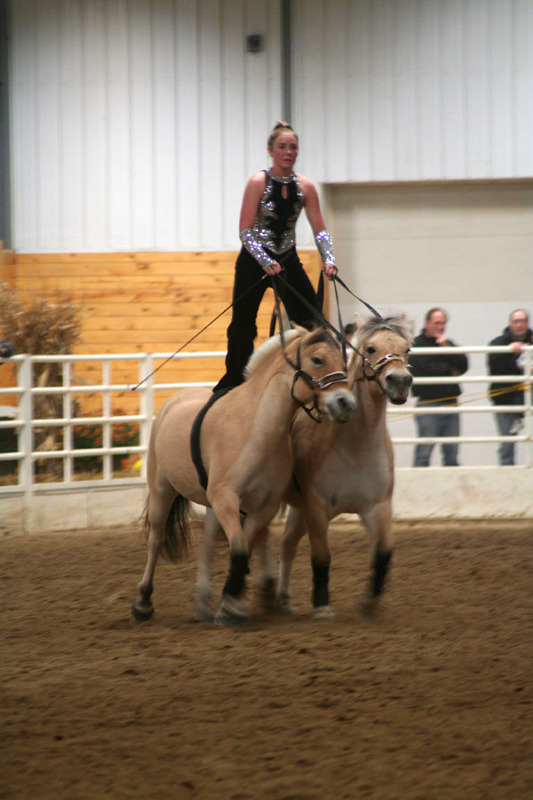 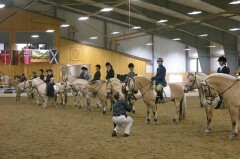 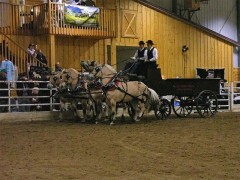 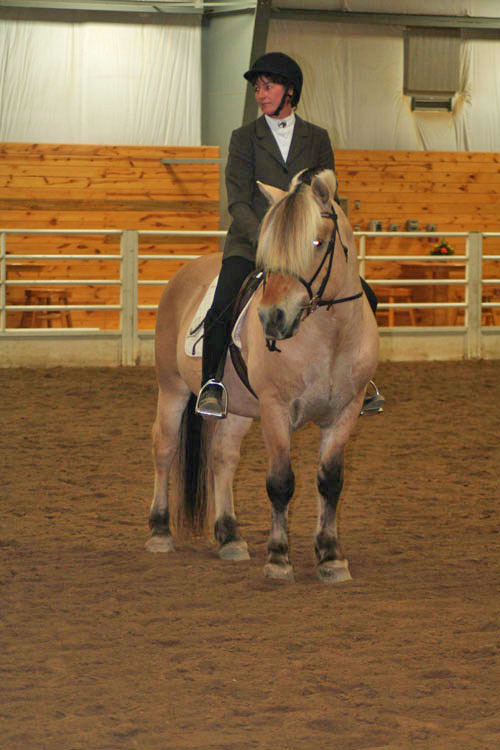 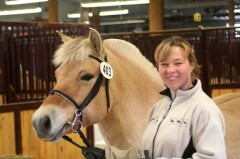 On October 11 to 15, 2006 we attended the Norwegian Fjord Horse Registry’s 25th Anniversary National Show held in Winona, MN, USA. We enjoyed five days surrounded by over one hundred Fjordhorses and the positive spirit and camaraderie of hundreds of fellow Fjord lovers, including many distinguished guests from overseas. 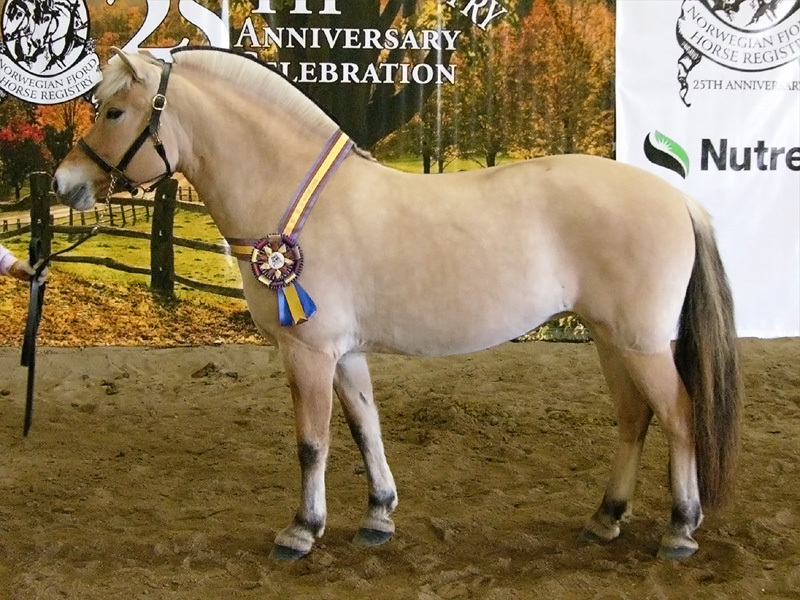 We are thrilled to announce that our own home-bred six year old, Bluebird Lane Kestrel, was GRAND CHAMPION MARE at Winona! 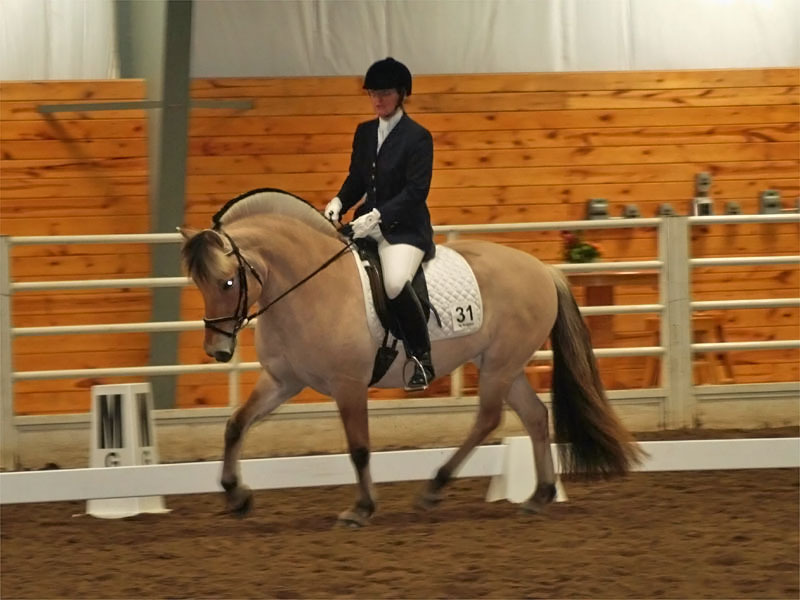 Kestrel is one of Lori’s full-time riding partners and this win culminates Kestrel’s very first show season, in which she also won a Championship at the prestigious Dressage at Palgrave National Show. 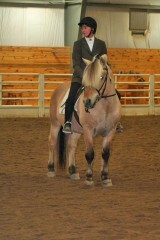 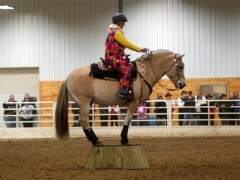 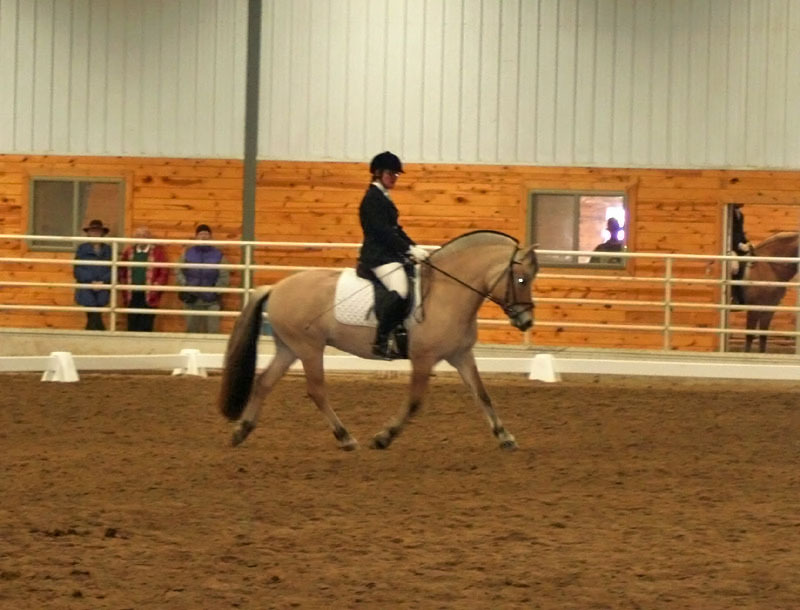 At Winona, Kestrel and Lori were also winners in the Open English Equitation class. 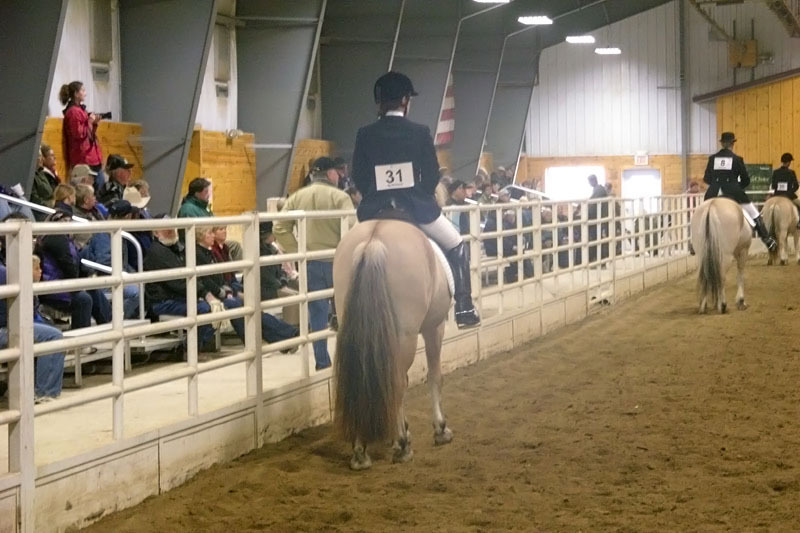 Another mare placing well on the line was the six year old Bluebird Lane Peregrine, who took third place in the very large 4-and-over Mares class! 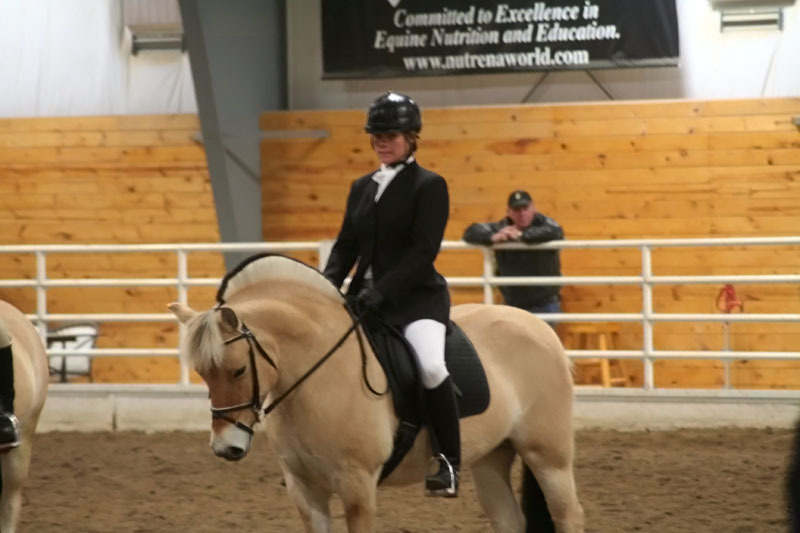 To have two mares from our breeding program placing in the top three at the National Show feels wonderful, and we thank Peregrine’s owner Peggy Spear for doing such a great job in presenting her. 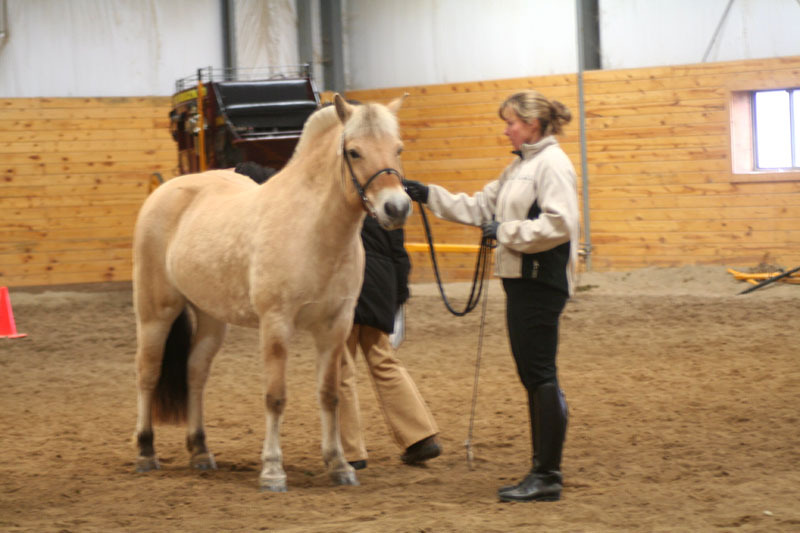 Peregrine was also the recipient of a special prize of merit from the representative of the Norwegian Studbook during the NFHR Evaluation. 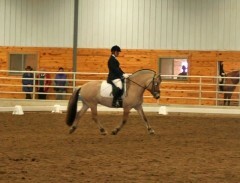 In addition, Peregrine took first place in the Walk/Trot English Pleasure class with her owner. 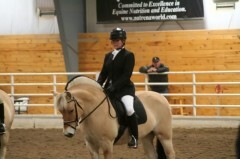 Congratulations Peggy! 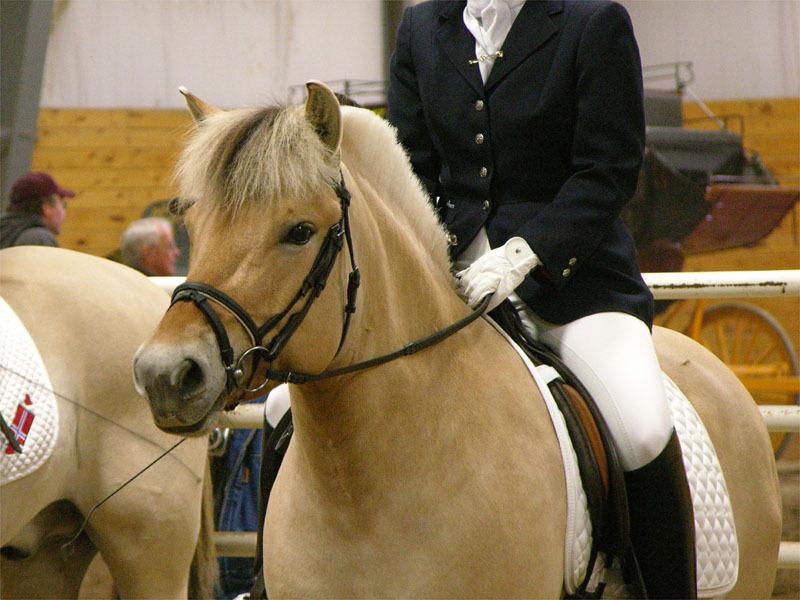 The four year old gelding Bluebird Lane Jaeger with his owner Kristin Lee riding won the Maiden Horse English Pleasure and progressed on to also win the Open English Pleasure, out a field of 18. 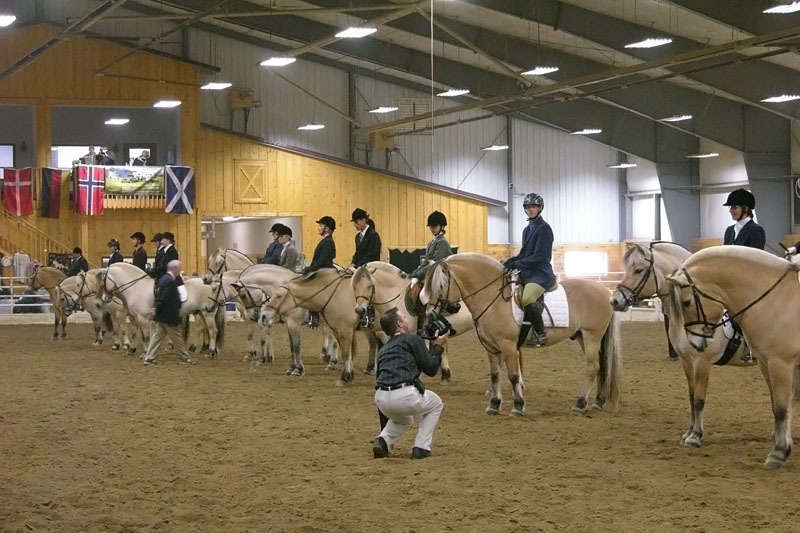 Jaeger and Kristin also won the Adult Showmanship and placed in English Equitation, finishing the show as Reserve Champions in English Riding! 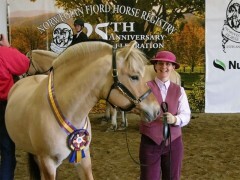 Congratulations to Kristin! 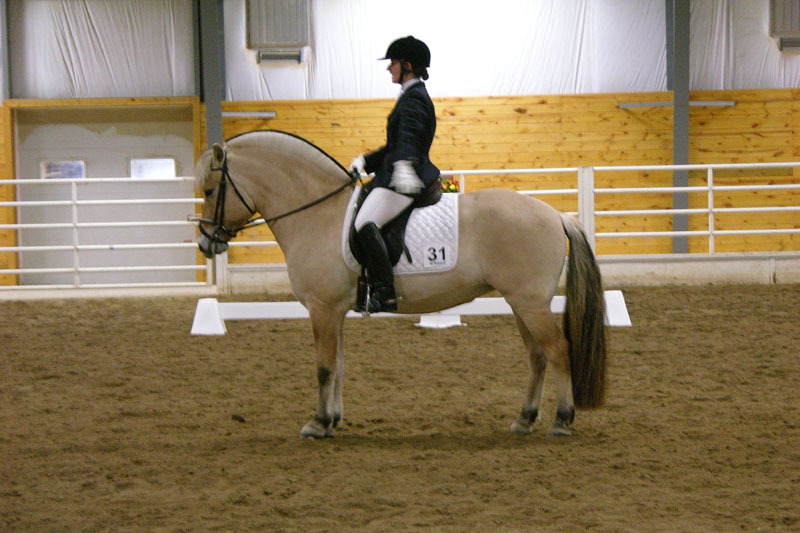 Our former stallion Felix, now owned by Susan Cargill of Longtheway Farm, with Kestrel, Peregrine and Jaeger representing him, took second place in the large Get of Sire class. Felix also won the Open Pleasure Driving class and was awarded Reserve Champion Driving Horse, with Vivian Creigh of Springfield VT as whip. Congratulations Susan and Vivian! 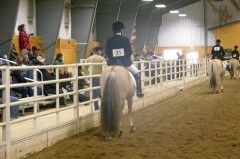 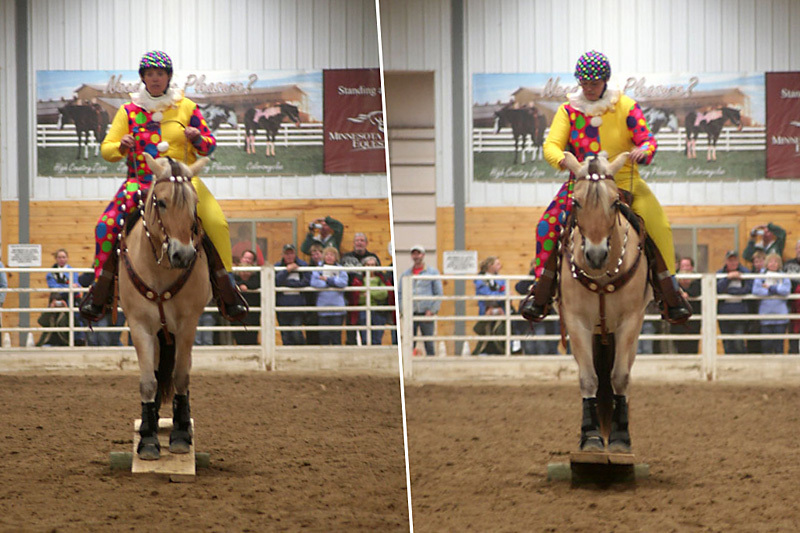 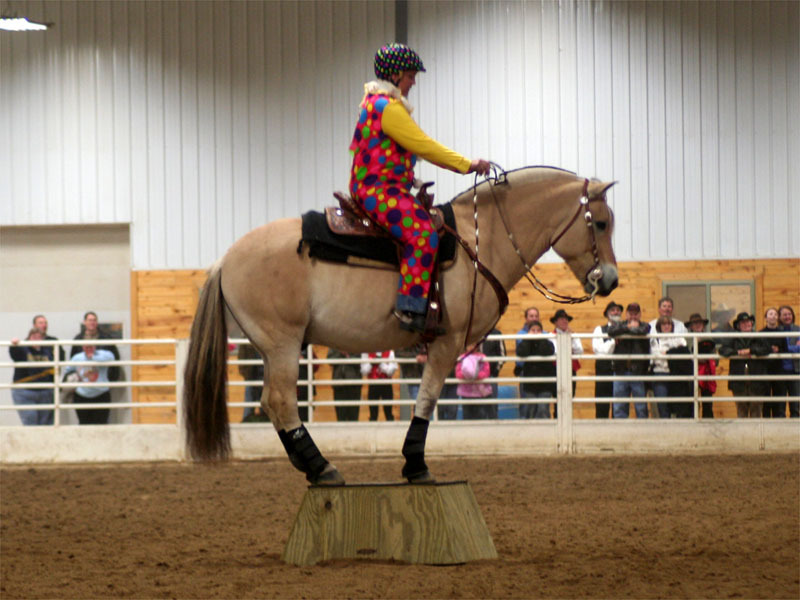 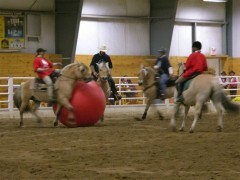 Prisco was also at Winona, and he placed first in all of his classes. 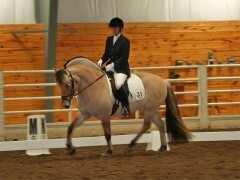 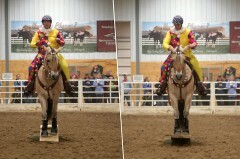 Prisco and Lori completed USDF Third Level Test One with 67.2% and Third Level Test Two with 62.7%. 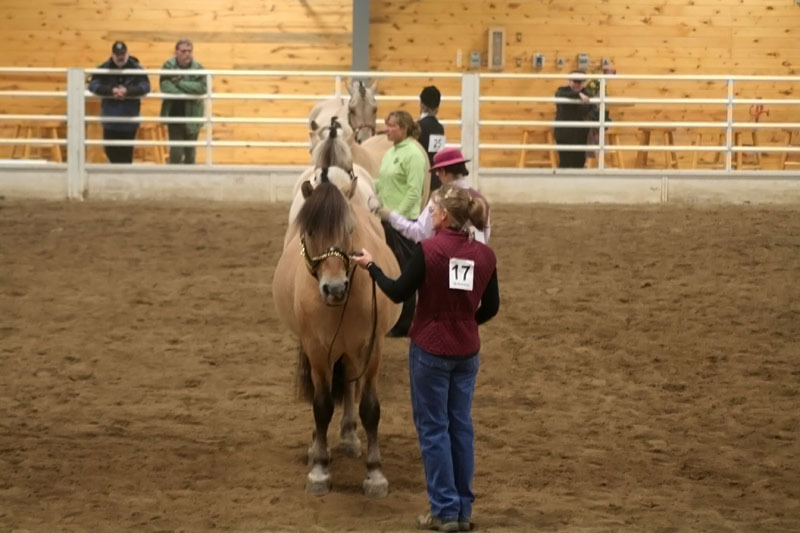 Thanks so much to everyone who came up to let us know how much seeing Prisco working meant to them! Prisco also placed first in Geldings 4 and over and won the Reserve Champion Gelding award! Once again Lori and Stefan would like to extend our appreciation to the organizers of the NFHR 25th Anniversary Show and to everyone who made it possible for us to attend and assisted our team. 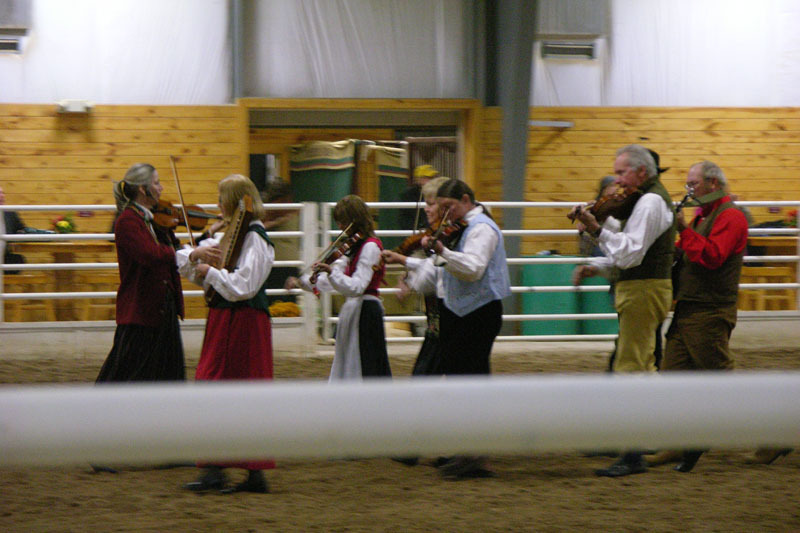 Norwegian Folk Music Group. They were wonderful!